& Shed Those Extra Pounds? Get motivated today with one-on-one guidance from an experienced coach & a comprehensive online fitness & nutrition program designed just for YOU! I'll give you the keys to unlock a healthy lifestyle you can live with! 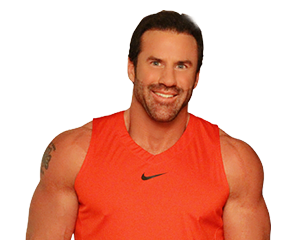 Chris Rogers, One of America’s Leading Online Fitness, Nutrition & Mindset Coach. NO Gym Required. NO Expensive Equipment. All you need is MOTIVATION- and we can help you with that! From beginners to seasoned athletes, my programs are tailored to fit your needs. I take the time to get to know your goals, fitness level, motivations, and personality in order to create a customized program designed to get you the results you’ve been looking for! Are you having trouble getting motivated? As your coach I will not only develop your personalized fitness plan, but I’ll monitor your progress and check in with you along the way. I’ll be there every step of the way to give you that push you need to reach your goals and change your life! Don't have time to get to the gym? My programs can be tailored to fit any schedule. Whether you prefer to workout from the comfort of your own home or are always on the go, I will design the perfect workout for you! My 12-week and 6-month programs will set the foundation for a lifetime of healthy habits. If you like the way your body is shaping up after the initial session, let's keep going! Whether you chose to continue on or not, you won’t leave empty handed! You will walk away with tools and knowledge to improve your overall lifestyle. The hardest part of getting back in shape is finding a program that you can stick with. As your coach, I will customize a healthy living program designed to help you get in the mindset for making the lifestyle transformations needed to eat right, stay active and GET RESULTS! Together we will embark on a journey where you will use food for fuel, not comfort, and see exercise as a celebration of what your body can do, not as a punishment. I'll provide options so you can choose foods you enjoy and exercise routines that fit your lifestyle. 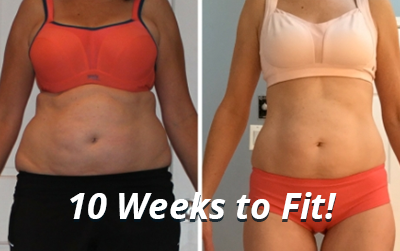 I take the guesswork out of getting fit with a personalized program designed just for you! Healthy weight loss begins with the proper motivation to improve your overall health and well-being. There are no shortcuts that work. We began Warrior Teams after finding there was a strong demand for people needing direction in health, fitness, nutrition and mindset at a reasonable price. If you struggle with weight loss it may be due to stress from work, life, a significant other, family or even prior life events. Elevated stress levels in the body can cause a hormone known as cortisol to store fat or prevent fat loss. If you eat out of boredom, emotional stress or have trouble with portion control, we start to fix the problem from day one. Worrying is like sitting in a rocking chair, it gives you something to do but won't get you anywhere. We offer life coaching by the session for anyone who may have a poor relationship with food. With Warrior Teams, you don't have to do it alone. I understand that your fitness journey is a 24/7 commitment, and it's not easy to do it alone. It is important to have a lifestyle coach/fitness partner on your side who gets to know you, what holds you back and what needs to be done to keep you motivated. In addition to weekly personal check-ins and emails, every one of my clients has virtual access to me. You can call or text me anytime during regular business hours. I will answer/address all of your questions or concerns and help you get through any struggles you may face.